Carson Wentz is just about 10 months removed from having surgery to repair his torn ACL on Dec. 13, 2017. In his second game back, a 26-23 overtime heartbreaking loss to the Titans, he got hit 15 times. It doesn't matter how strong you are, how hard you work, or how much good luck you get — 15 hits are 15 hits. That's 15 chances something could go wrong. Is he just a ticking time bomb for re-injury? 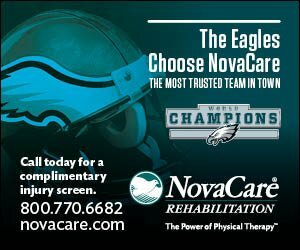 "It's definitely not a black and white answer," Joel Roth PT, DPT, OCS, a Center Manager with NovaCare Rehabilitation, Official PhillyVoice.com Injury Report Sponsor, told PhillyVoice. "Generally speaking, anyone who has had an ACL reconstruction is at a higher risk than someone who has not. "The risk factors are contacts or plays. Every time he's on the field, every play that's taken is a risk. The more contacts he has there is a higher inherent risk . Nine and a half months is a good amount of time, [the Eagles] did a good job of not playing him for two games. He probably was ready, but they were concerned by that reason. There's some research that every month after nine month decreases your risks by 15 percent." Wentz, of course, was not cleared for contact until after the Eagles played two games with Nick Foles at the helm. Philly did not want to mortgage it's long term future and the health of their franchise quarterback on two games in September. Roth is a lifelong Eagles fan and works as Temple football's trainer. He attests that Wentz's aggressive playing style does not particularly put him at a higher risk of re-injury, citing Carson Palmer and Tom Brady as players who've had the same injury. But he was quick to mention that Wentz is not out of the woods yet for his higher risk of reinjury. "Most of our research follows up at the 1- to 2-year mark," Roth said. "From 9-to-12 months is when that risk is. There are two things at play: general physiological healing — there's nothing you can do about that, this is how long tissue comes to heal. But when you use a patellar tendon graph, generally in about 16 months post-op, that's when you start feeling really comfortable and that's when the graph is acting like a ligament." The Eagles' offensive line has not been playing like it did last year and it shows. They've allowed 34 quarterback hits through four games, third-most in the NFL. Their sacks allowed, 14 thus far, is the sixth-most in the league. 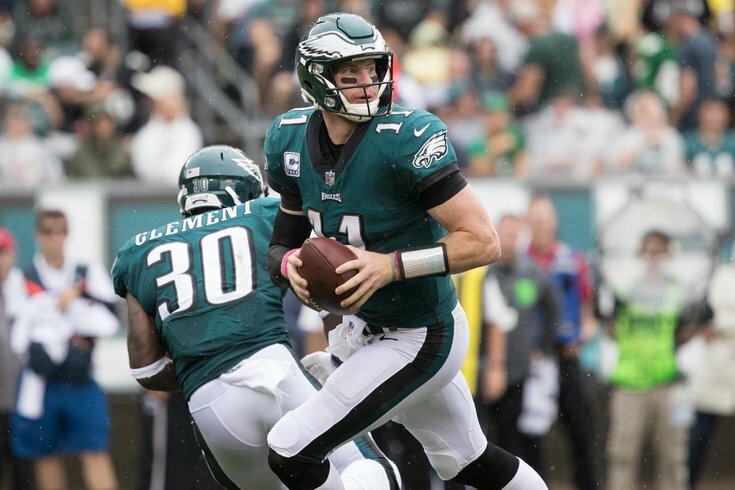 Never has it been more important for Wentz to be protected, and even though he has a unique ability to extend plays and avert would-be tacklers, the unit must be better as Wentz's knee continues to inch toward health. "You're never out of the woods," Rosh said. "You always have a higher risk if you've had an ACL reconstruction, but after 12 months you have a minimal risk like someone whose never had one." That means come December, Wentz will be "back to normal." Assuming, of course, he doesn't get hit 15 times per game until then.